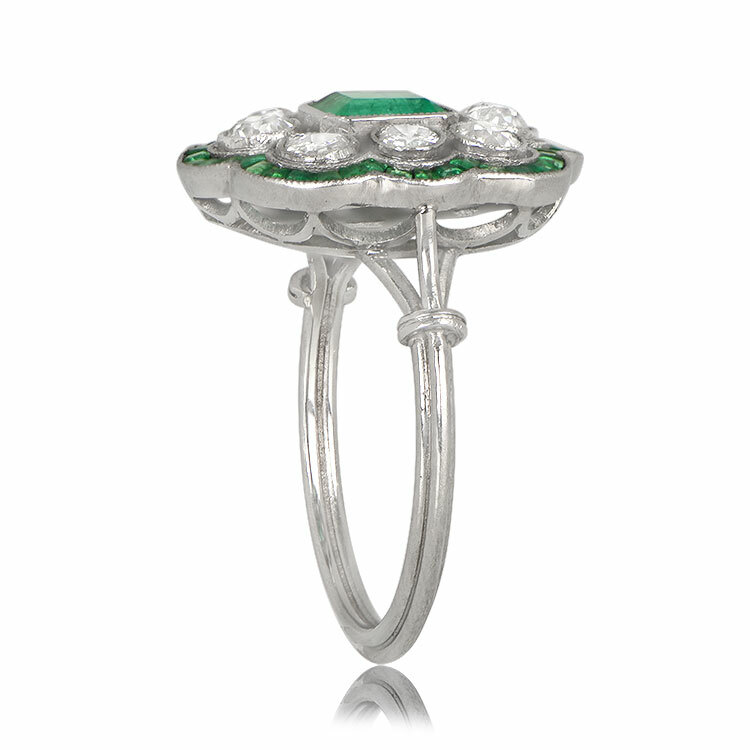 A floral gemstone engagement ring that centers a lively natural emerald weighing approximately 0.70 carats. 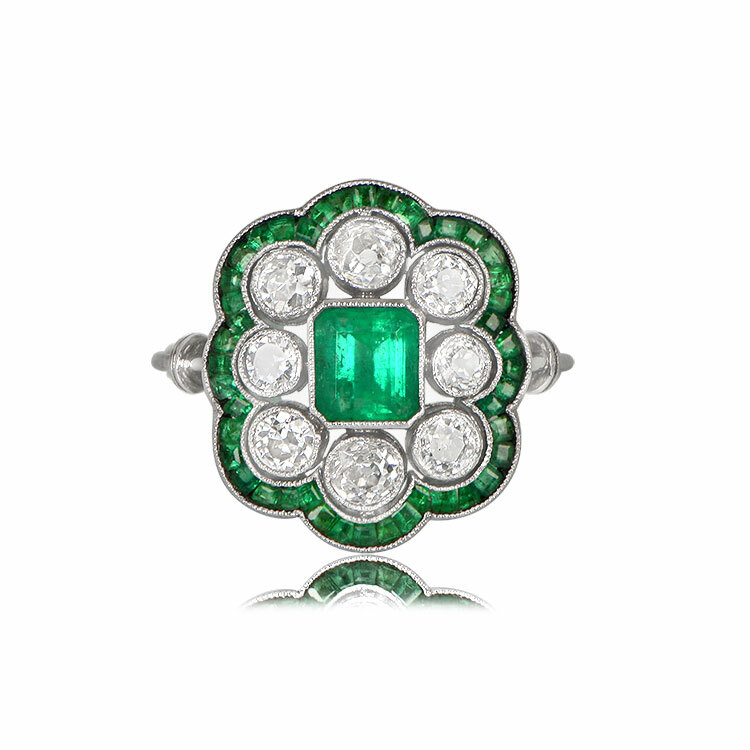 This ring is further surrounded by a cluster of diamonds and a row of calibre-cut emeralds. 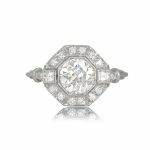 The total diamond weight of this ring is approximately 1.00 carat. This ring is platinum and is vintage. 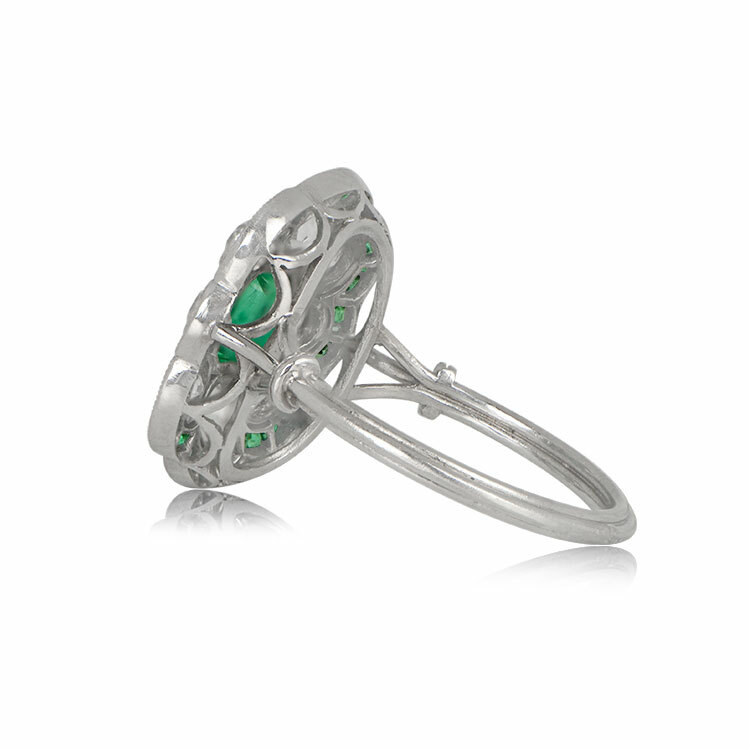 Our Holme Green Ring can be resized to any size at no extra cost. 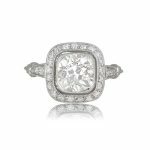 If you have any questions about this ring, please feel free to contact us. 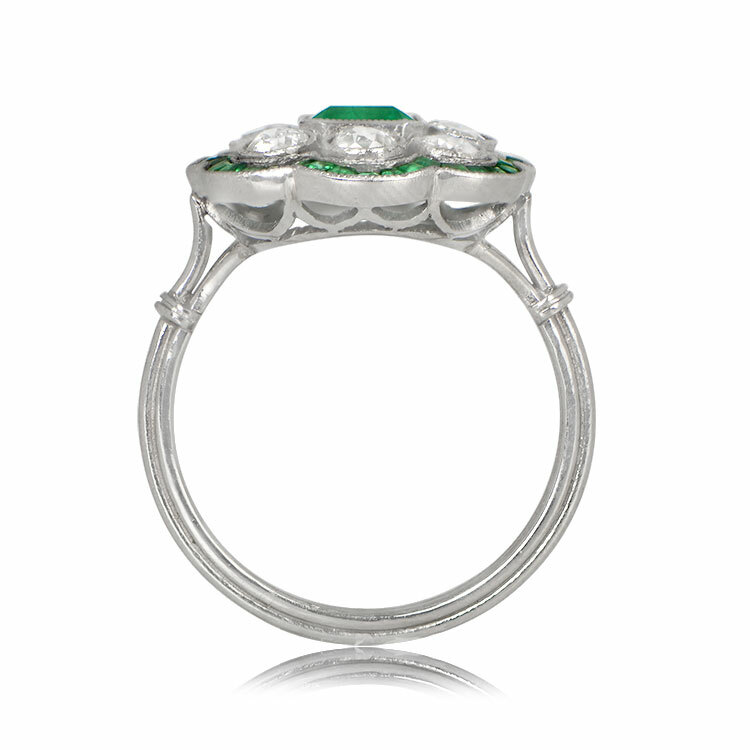 SKU: 12246 Categories: Emerald Engagement Rings, Vintage Engagement Rings - Contact us and request additional pictures.